Lighting fast accelerations, maximum carving, tight turns, roller off the lip and re-entry… The MADEIRO are the boards of our pro-team and are developped by our best riders. Fast and easy to get moving when paddling, the take-off is super fast with instant acceleration down to the bottom turn with a very intuitive carving. These boards offer a perfect longitudinal balance so that you can really focus on the wave instead of worrying with the board. No need to force or move your feet around to turn the board: everything is natural. 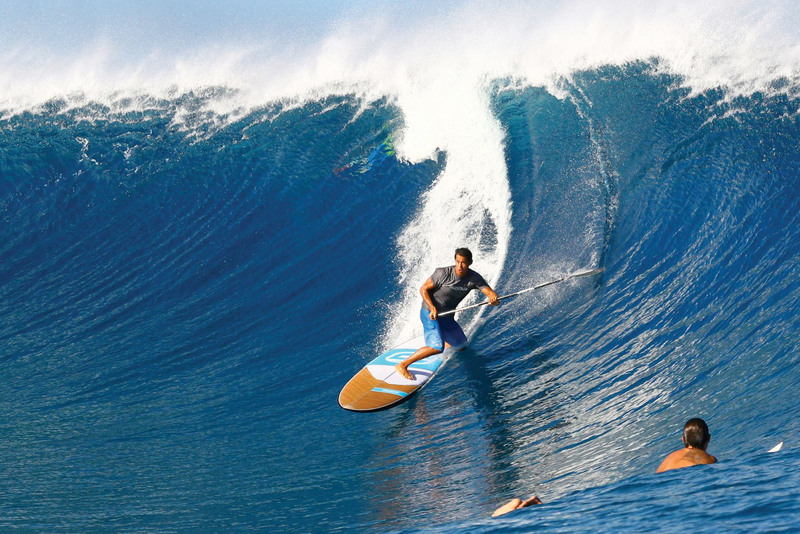 It becomes easier to follow the progression of the wave and carve your lines. 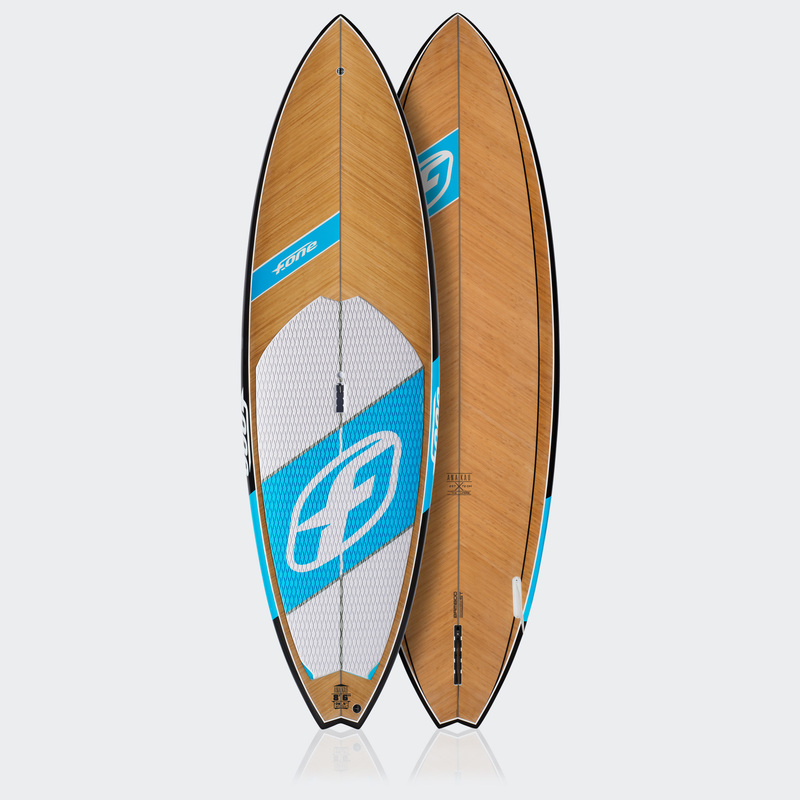 Since 2015, the range includes two larger sizes designed to broaden the accessibility of these boards: 8’5’’ x 31.5” and 8’8’’ x 33” are available with a bamboo deck construction. Being more accessible thanks to their width and volume, a lot of work went into these boards to keep the speed and acceleration that makes them ultra responsive and just as impressive as their smaller siblings. 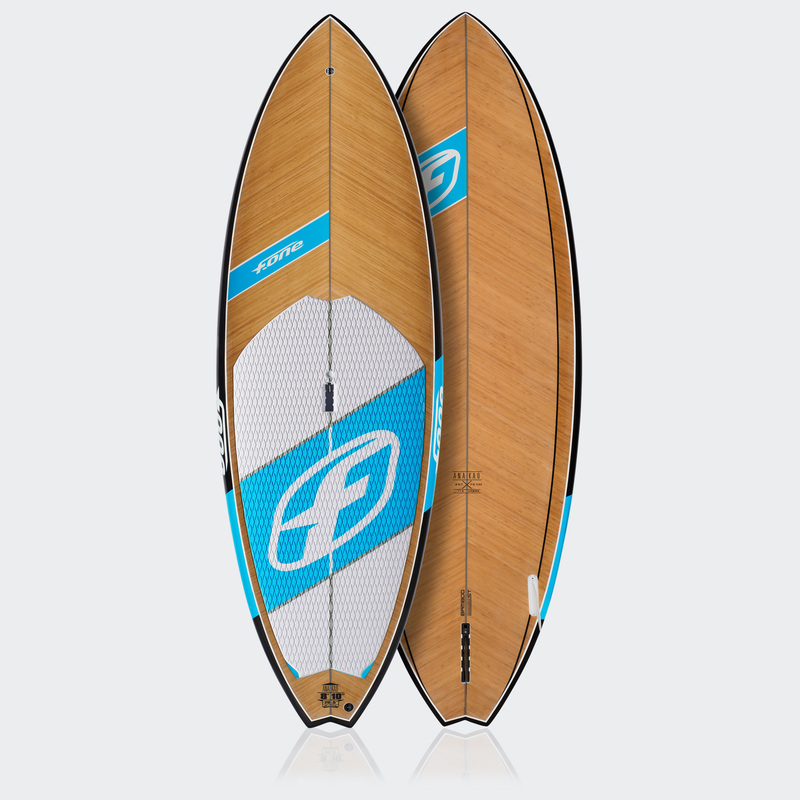 Since 2015, the range includes two larger sizes designed to broaden the accessibility of these boards: 8’5’’ x 31.5” and 8’8’’ x 33” are available with a bamboo deck construction. Being more accessible thanks to their width and volume, a lot of work went into these boards to keep the speed and acceleration that makes them ultra-responsive and just as impressive as their smaller siblings. 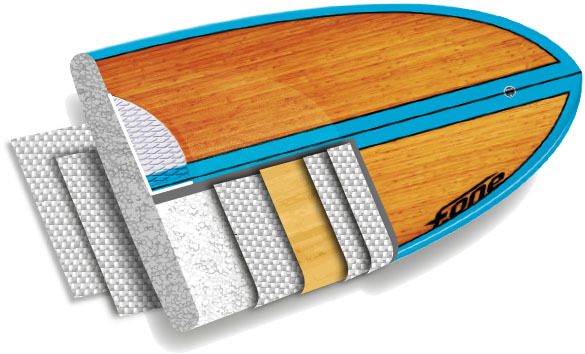 All of our SUP benefit from our Bamboo Sandwich Technology construction. Every layer of bamboo is reinforced with two layers of fiberglass. This allows the sandwich technology to emphasize the characteristics of the bamboo. The final result is a light structure that is super strong and extremely reliable. 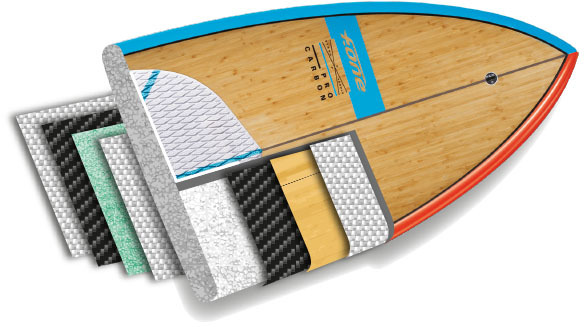 This sandwich construction (high density foam + fiberglass + carbon) provides the MADEIRO PRO with a strong resistance and lighter weight compared to the FULL BAMBOO versions. This new construction improves the weight/resistance ratio of the MADEIRO PRO range which remain among the lightest and best performing boards of the market. For all surfers one of the inconveniences of a SUP is the large size of the rails, too big to dig into a turn. 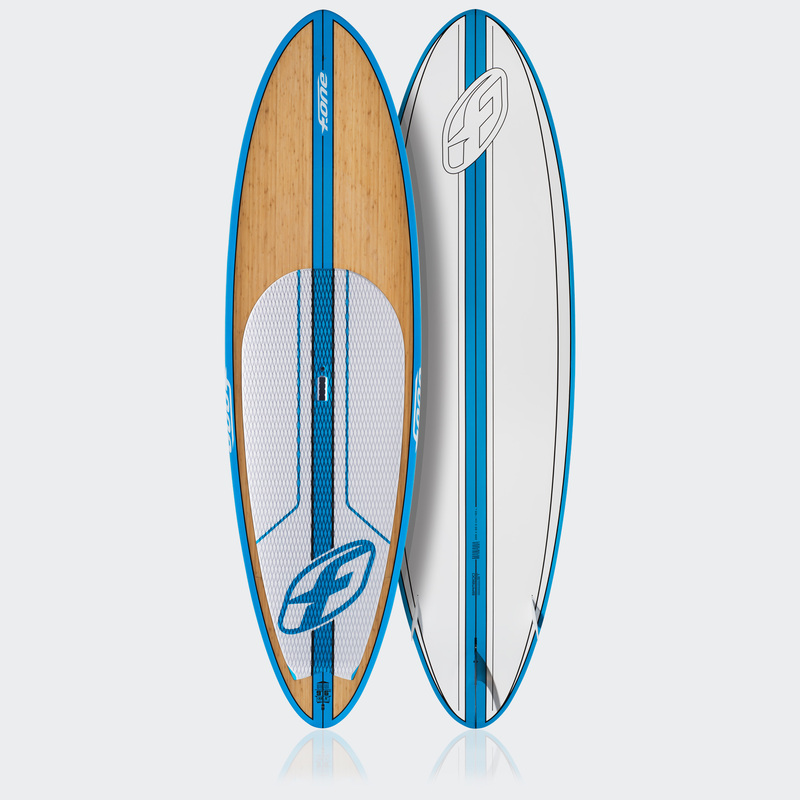 So, how do we make a sup with a thin rail without losing the volume of the board? The answer is the Beveled rail. They are small flat lateral sections in V shapes, which allows us to reduce the thickness of the rail in certain sections (1). 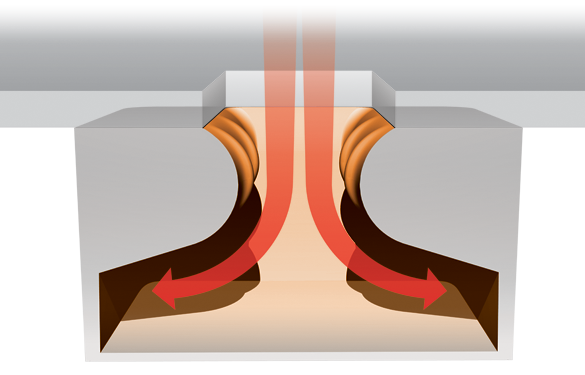 The other advantage is that they reduce the planing surface of the board (2) which therefore reduces drag. The combination of a thinner rail and slightly narrower width allows the board to get a better edge into the turns and a tighter arc. 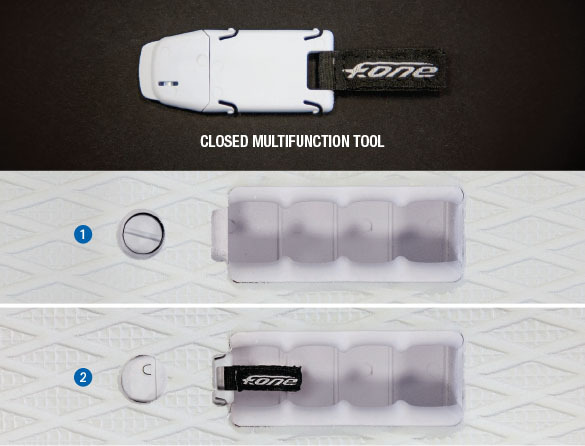 The MADEIRO PRO range benefits from a specific carbon construction. On deck, the MADEIRO PRO are built using a bamboo / carbon sandwich: the bamboo sheets are laid over a layer of carbon fiber. 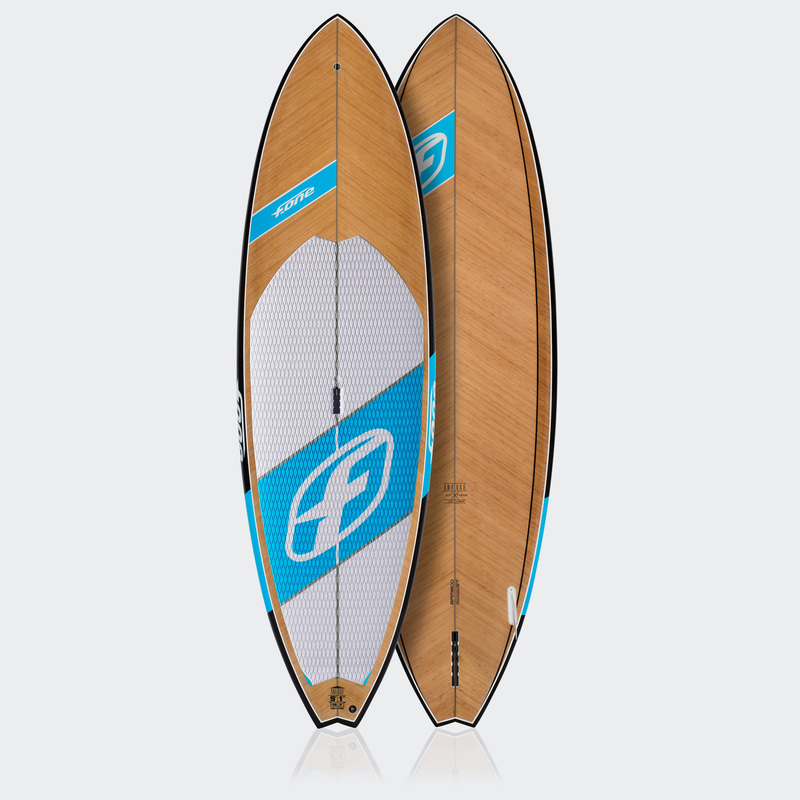 On the bottom, the boards are built using a high density foam / carbon sandwich: fiberglass + Hd foam + carbon fiber + fiberglass combined with a brushed finish for minimum weight. 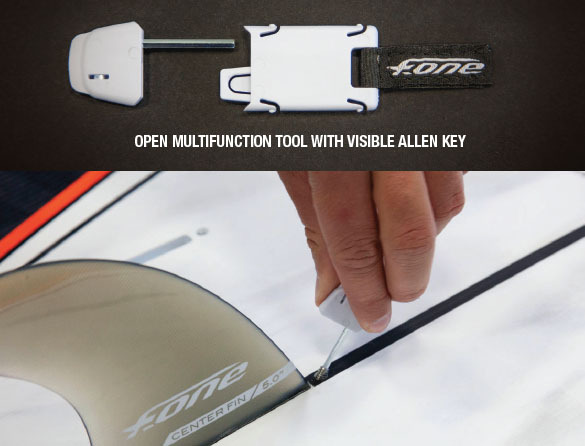 This construction provides the MADEIRO PRO with superior strength and keeps them impressively light. The whole range therefore boasts an enviable weight to strength ratio and remains firmly within the lightest and best performing boards on the market. The shape of the 7’5’’ and 7’7’’ sizes features a rocker which has more lift at the nose and a better volume distribution making the boards even better balanced. 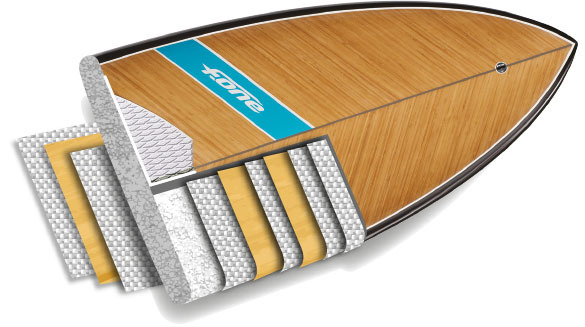 The range offers a wide selection of lengths and widths, especially with the 8’3’’, 8’5’’ and 8’8’’ boards to satisfy the most demanding riders of any size and weight. The MADEIRO PRO range benefits from a specific carbon construction. On deck, the MADEIRO PRO are built using a bamboo/carbon sandwich where the bamboo sheets are laid over a layer of carbon fiber. On the bottom, the boards are built using a high density foam/carbon sandwich (glass fiber / foam / carbon fiber / glass fiber) combined with a brushed finish for minimum weight. 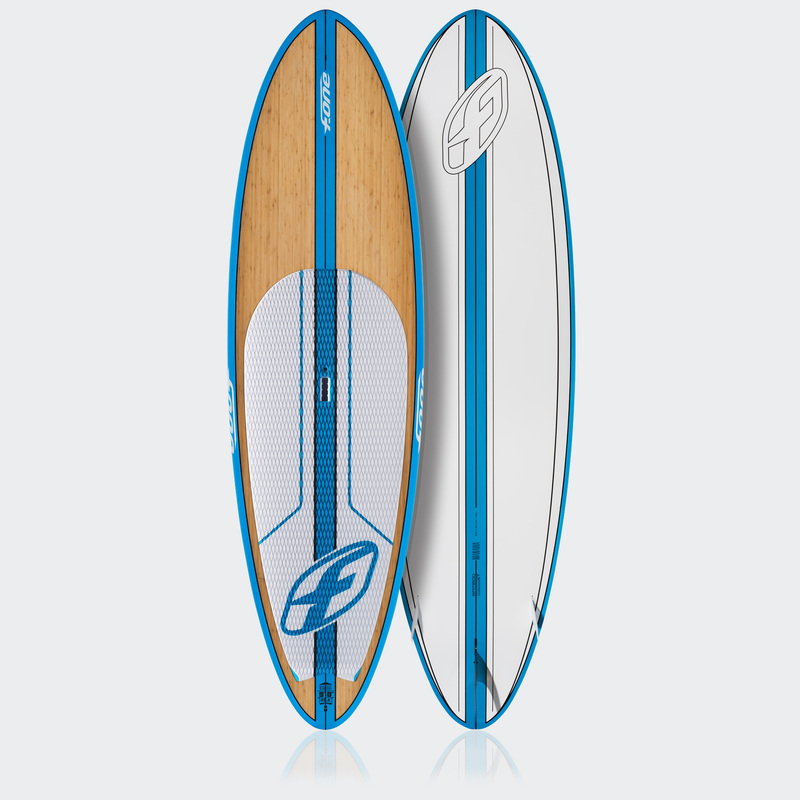 The ANAKAO range opens up the world of surfing on a SUP and will help you getting better at it. With a fast paddling speed, some first class grip, an intuitive carving and a perfect balance during the turns, the ANAKAO boards feel at home in any kind of waves. Developed with the knowledge of our experienced surfer Remi QUIQUE and our Tahitian waterman Patrice CHANZY. 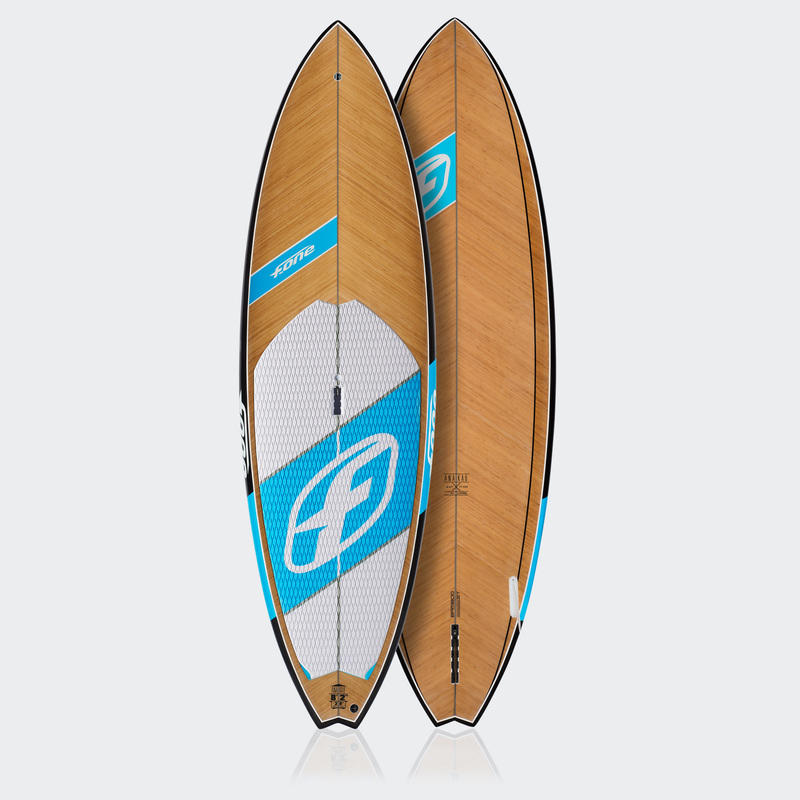 In terms of shape, the key ingredients that made the success of these boards are: A rounded rocker line for maneuverability with enough acceleration potential, and a thin tail outline to provide maximum grip and drive. With their moderate width towards the nose, the ANAKAO feel light in the turns and can pass the white water with ease. 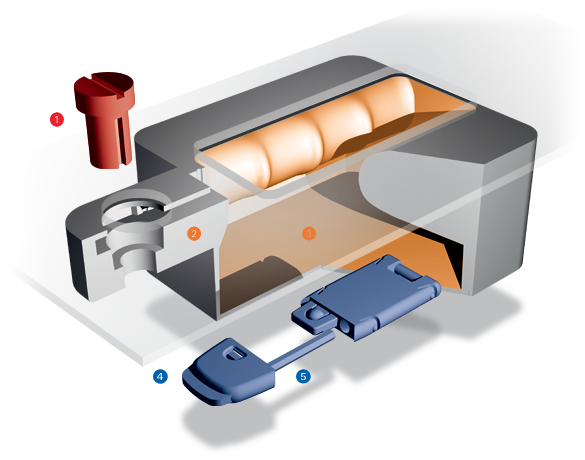 The whole range is equipped with beveled rails to keep them as efficient and easy as possible. Genuine wave boards with a remarkably wide range of use, the ANAKAO are the ideal weapon to have fun in any kind of conditions and wave height. Whether your style is into radical surf or long curves, you will find an ANAKAO suited to your own size and skills. 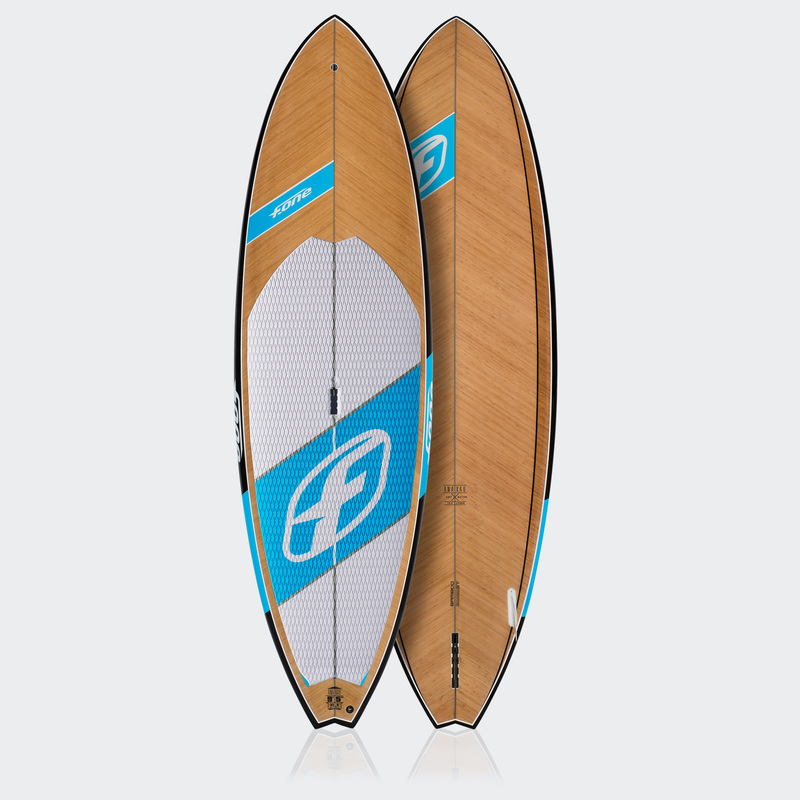 The Manawa 2016 range has been designed to offer the most stable, versatile and accessible boards. 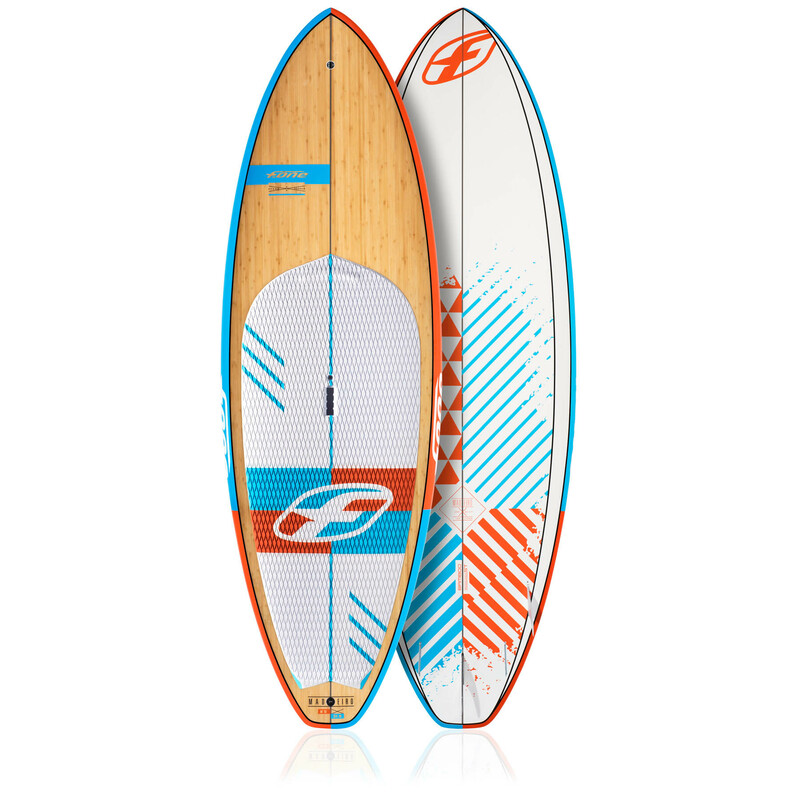 Ideal for your afternoon cruise along the beach, on a river or a lake, these boards will also let you catch and surf your first waves. The four boards of the range enable everyone to find its own fit in terms of volume/length ratio depending on his weight and skills. Ideal for the beginners and intermediate riders, the MANAWA will follow you along your learning process. 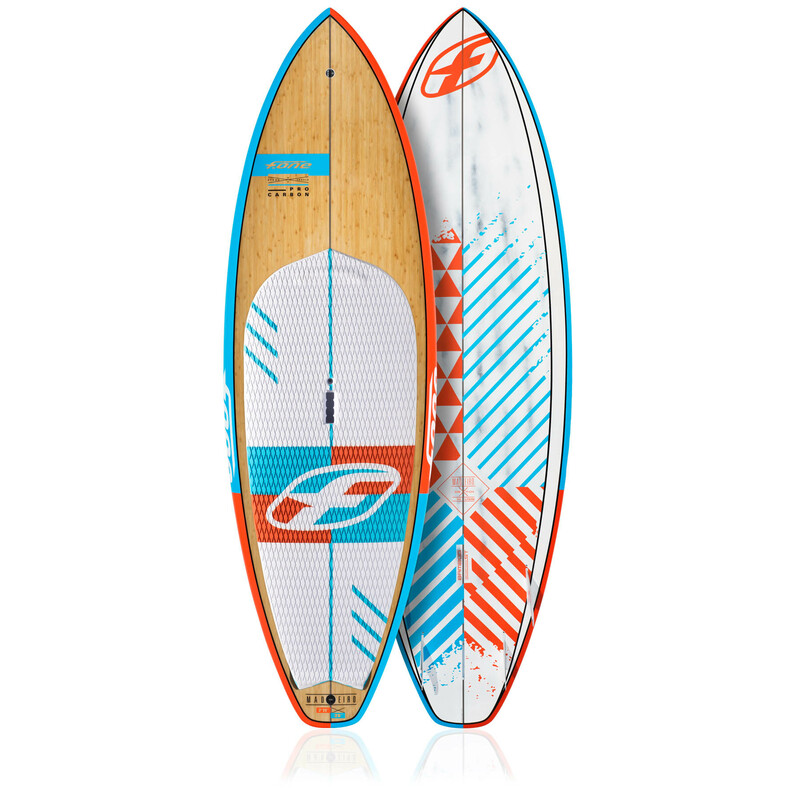 With their rounded outline and proven rocker line, they glide easily through the water and are able to surf smaller waves. 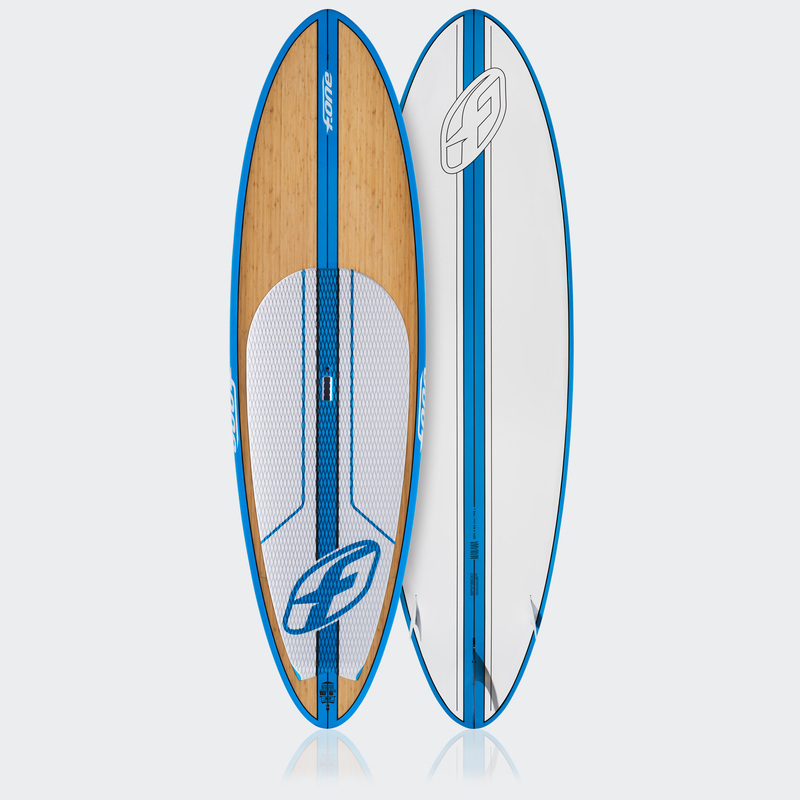 Thanks to their great stability they will guide you easily during your first surfs and will forgive your mistakes. When acquiring more skills, you will still be impressed by their responsiveness. The top deck of the board is lined with a layer of bamboo..